There’s so much more to gin than the basic G&T we know and love. So to get you to try new things and switch it up a little we've assembled an assortment of gin cocktails that you absolutely have to try. Gin-lovers rejoice. Icelollies for adults. Why not make a batch for when the girls come round? They're sure to love these. 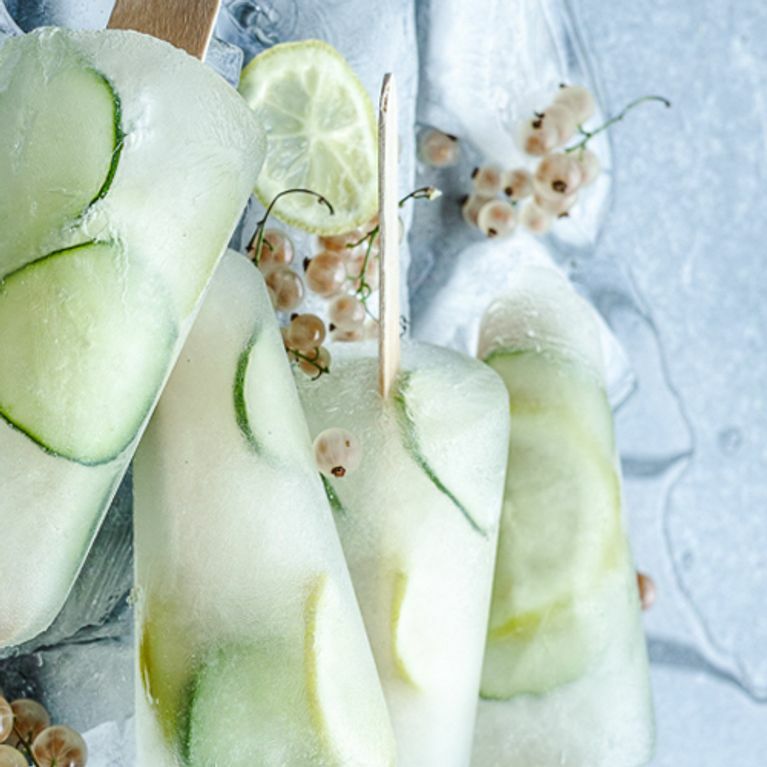 The refreshing cucumber and white current flavours are a perfect match for gin, making this a new sofeminine fave. ​Here’s how to make it. Gin and a cuppa, two British greats, mixed together. This cocktail blends the floral citrus flavour of Earl Grey Tea with aromatic gin… What could be better? Bored of your classic gin and tonic? 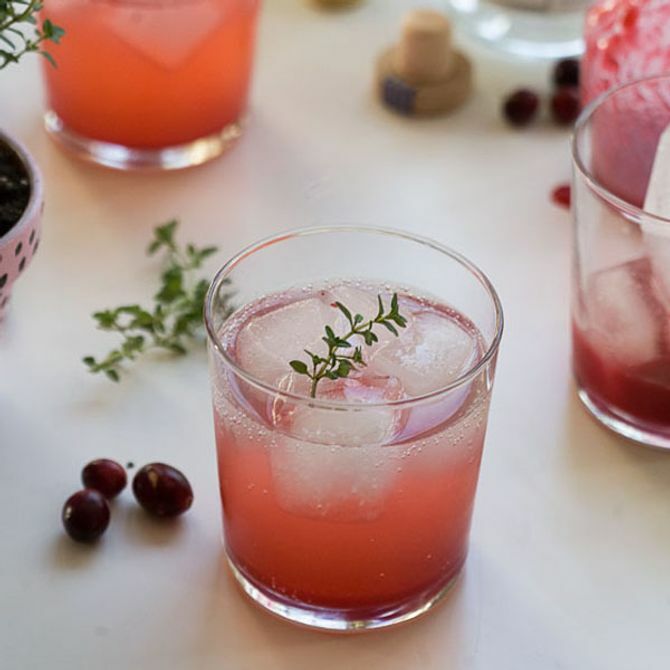 Then you have to try this cranberry and thyme G&T. The tart, sweet taste of the cranberries with the herbal twist of thyme make this drink go down oh-so easily. A tasty concoction of strawberries, black peppers and gin. Another contemporary twist to the classic, and we absolutely love it. Try it for yourself. Here’s the recipe. Gin in a sorbet? We would like to thank the person who thought this up. It makes the perfect dessert. Just imagine the perfect summer day, sun beaming, book in one hand and raspberry and rose gin and tonic in the other. Trust us when we say rosewater mixed with raspberries and gin is the ultimate taste of sunshine. Fancy a little kick in your G&T? Just add jalapeños. This refreshing gin cocktail is sure to become your new go-to drink. Plus cucumber counts as one of our five a day so you really can't go wrong! Refreshing, soothing and full of gin - we know how we like our cocktails. No wonder we're obsessed with the Sister Ray cocktail, made with chamomile, strega and lemon it's exactly what our taste buds deserve after a long day. Lavender, basil leaves and gin, this refreshing cocktail is like a summer garden in a glass. A delicious mixture of pineapple and gin, this is one fruity take on gin that your sweet tooth will thank you for. Lychee and gin go together almost as well as gin and tonic. Serve this up to find out why! The drink that’s sure to make you happy for hours and hours. This muddle of mint, sugar, strawberries and gin makes the perfect drink. Wouldn't it be just fab if you could combine two of the greatest things in existence? Oh wait. Thanks to genius chocolatiers Choc on Choc, all your foodgasm dreams have come true with the introduction of the Gin & Tonic Chocolate Stash box. Admittedly, it's a little pricier than your bog-standard chocolate bar at £25 but we reckon it'd go down a treat at a girls' night in. How do you like your gin? Tweet us @sofeminineUK!